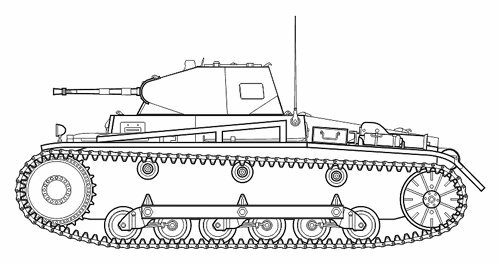 The Pz.Kpfw.II (originally identified as the '2cm MG Panzerwagen') was designed to supplement the Pz.Kpfw.I by providing an automatic weapon capable of firing both high-explosive and armour-piercing rounds. The KwK 30, a shortened FlaK 30 AA Gun, was used. 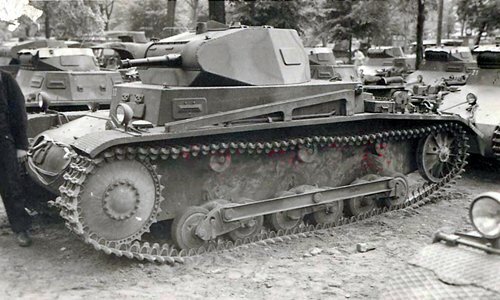 The initial order for a 10-ton Panzer was issued in July 1934, and by October 1935 the first soft steel prototype was tested. First developmental variants, (a/1, a/2 and a/3) were produced in comparatively large amounts of 10, 15 and 50 respectively due to the high demand for this class of vehicle, but many of the teething problems had not been worked out. 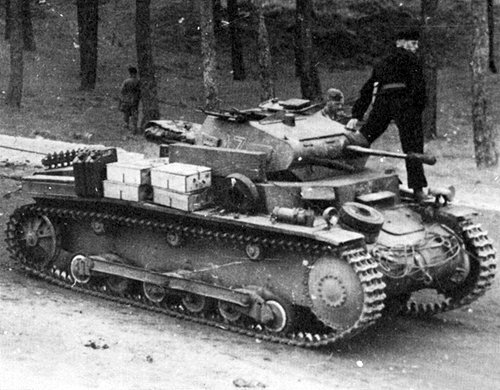 An entire series of modifications was made to improve the Pz.Kpfw.II, and these were incorporated in the Ausf. b. 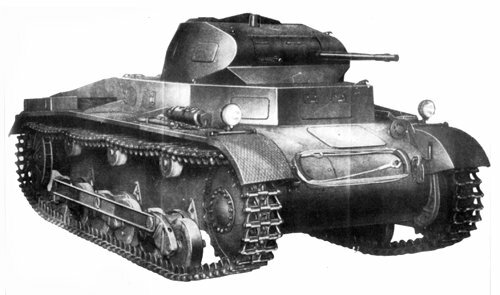 During February-March 1937, MAN and D-B produced 25 Pz.Kpfw. II Ausf. b vehicles. The Maybach HL62TR engine was installed instead of the HL57TR. 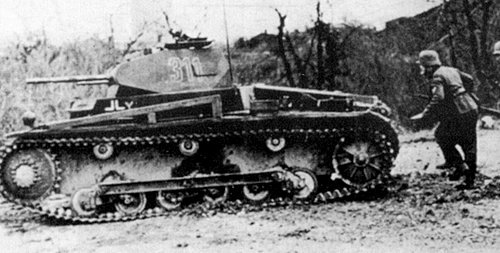 The suspension was similar to the Ausf. a, with 6 road wheels per side, but the mounts for the final drive and transmission, as well as the engine compartment ventilation, were improved. New drive sprockets with wider and smaller return rollers, and wider road wheels were added. The rear section of each fender was hinged, allowing it to be raised to prevent mud build-up. 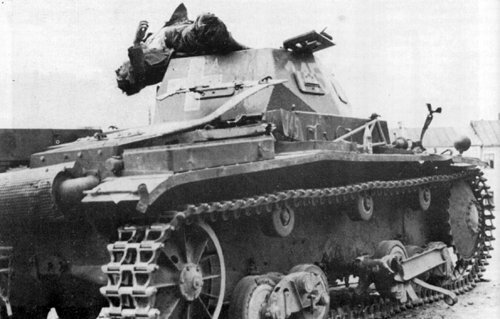 In 1938, the Pz.Kpfw.II b was 'road-tested' during the Austrian "campaign." 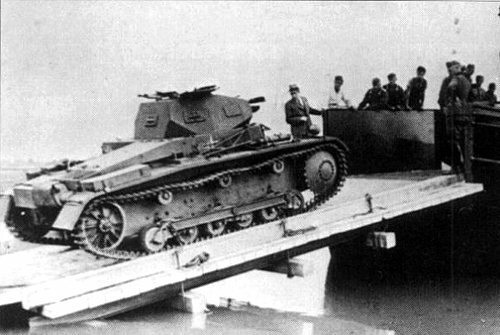 Weaknesses were still apparent in the suspension, with 30% of the Ausf. a and b being disabled on the road march to Vienna. 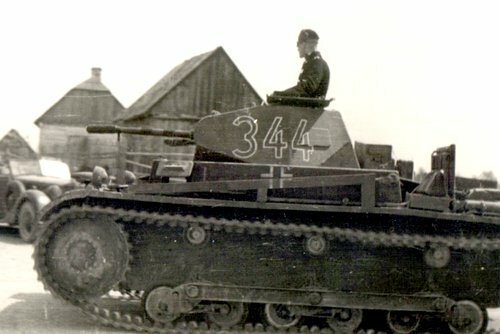 This led to the development of the Ausf. c, with a totally different 5-wheel suspension that came to be recognized as the Pz.II's standard suspension. 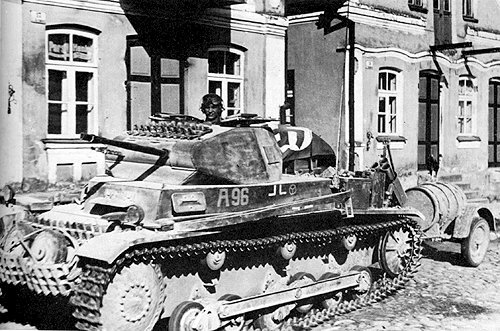 The Pz.II Ausf a and b were not withdrawn from service, being used in Czechoslovakia. In 1939 they saw heavy action in Poland, where many of them were lost. 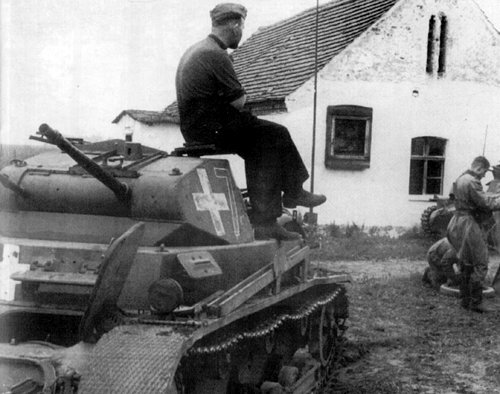 During the Blitzkrieg in the West, some Ausf. 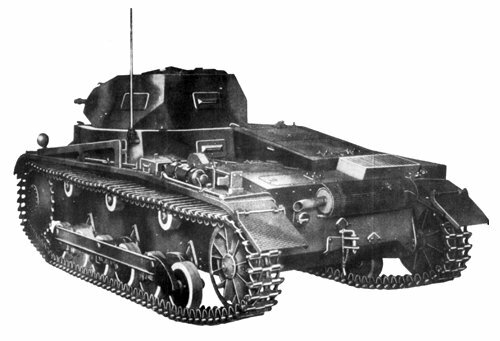 b models were still in combat service, but the survivors were later withdrawn to be used for training purposes or conversion to engineer vehicles. Pz.Kpfw.II Ausf. b. Reconstruction drawing. 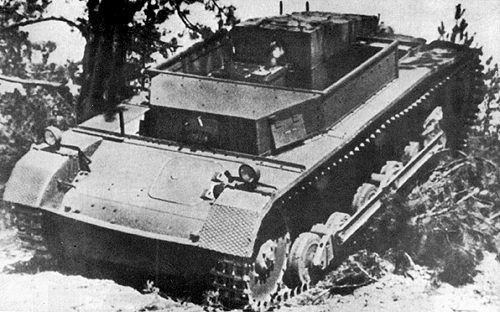 Prototype of Pz.II b chassis during tests on Berka proving ground. Drive sprockets design had changed in production series. Pz.Kpfw.II Ausf. b on parade in Nurnberg, 1937. Pz.Kpfw.II Ausf. b equipped with smoke-dischargers at the rear. Pz.Kpfw.II Ausf. b, 7.Company, Pz.Rgt.5, 3.Panzer Division. 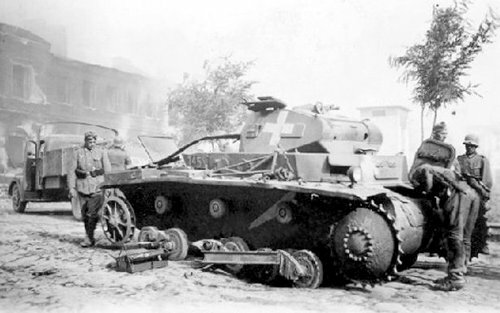 Destroyed Pz.Kpfw.II Ausf. b, 4.Panzer Division. Same vehicle some time later. Tracks and weapons had been dismounted. Pz.Kpfw.II Ausf. b, 3.Company, Pz.Rgt.25, 7.Panzer Division. Spring 1940. Pz.Kpfw.II Ausf. b, 2.Company, Pz.Rgt.5, 3.Panzer Division. Belgium, May 1940. Pz.Kpfw.II Ausf. b, 5.Company, Pz.Rgt.7, 10.Panzer Division.